Home Fintech How Will 5G Shake Up Banking And FinTech? Financial institutions are in the midst of becoming more mobile, with many of those legacy operations opting to work more closely with FinTech providers to upgrade services, retain customers and acquire new ones. The debut of 5G promises to add another tool that can aid such efforts. As that mobile technology gets closer to mainstream introduction, the potential 5G ecosystem for FinTech and mobile banking is gaining clarity. Banks and credit unions are still wrestling with the best ways to deploy mobile technology, and to do so in ways that balance security, safe authentication and consumer convenience. Machine learning and artificial intelligence are among the emerging technologies capable of boosting banking operations, including customer service and preventing fraud, as recent PYMNTS research has demonstrated. 5G offers the possibility of new technology that can help FinTech and financial institutions — technology that can be thrown into the existing mix to fuel ongoing digital efforts. “For mobile banking to become ubiquitous, the development of 5G technology is paramount,” reads one recent analysis of the biggest FinTech and banking trends for 2019. “5G tech reduces latency and transaction times, which is key to ensuring the network can handle the amount of transactions at scale. 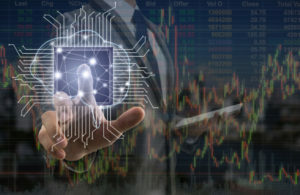 Few financial institutions now use true artificial intelligence — fresh PYMNTS data puts the percentage in the U.S. at 5.5 percent, with progress hampered in part by costs, misunderstanding what makes true AI different from machine learning and other factors. 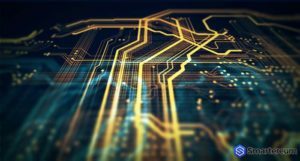 When it comes to 5G, however, financial institutions and FinTech providers might find their hands forced in a way that’s more forceful than decisions about whether and how to deploy AI systems, according to observers. That said, it seems unlikely at this point that blockchain and cryptocurrency will experience significant benefits from the low latency promised by 5G mobile network technology, according to experts and reports. So where is all this 5G? As PYMNTS reported earlier in December, Verizon and Samsung plan to launch U.S. 5G phones in the first half of 2019. The move would essentially beat Apple to the market with smartphones featuring 5G technology, because reports say that Apple is going to wait until 2020 to release the first iPhones featuring the tech. But even though Verizon is leading the charge for the new technology, which will greatly increase speeds on mobile networks – up to 50 or 100 times faster than the currently available 4G – some industry watchers say the new tech won’t be widely available until about 2025 or so. Actual 5G deployments may still be in doubt — and the effort will vary — but it is all but certain that the mobile network technology will offer new ways for financial institutions and FinTech to win more customers and market share.